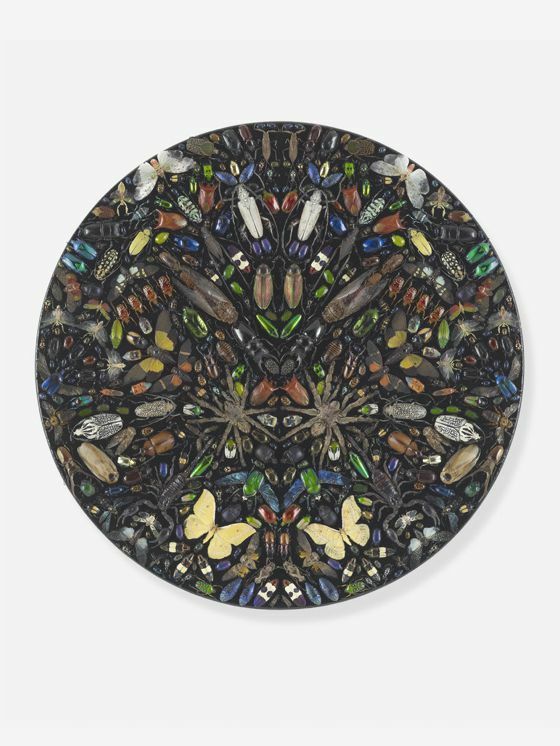 Damien Hirst is a famous British artist who lives and works between London, Gloucestershire and Devon. 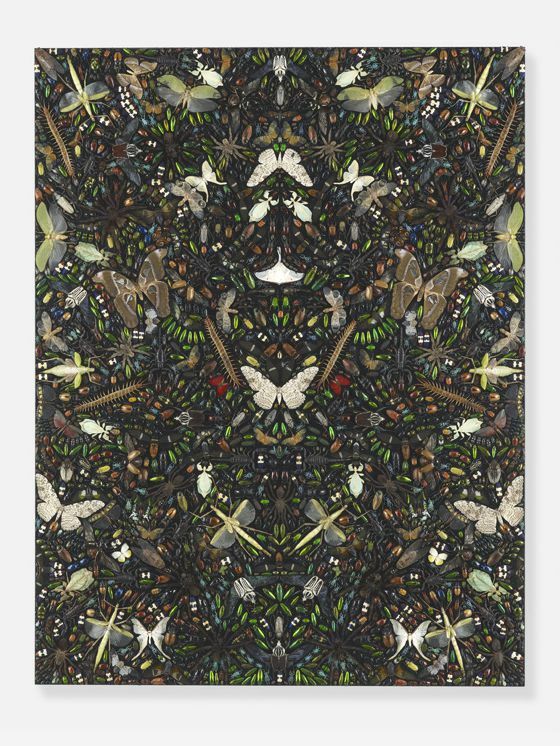 Hirst realizes his spectacular works with sculpture, painting and drawing to explore the complex relationship between art, life and death. 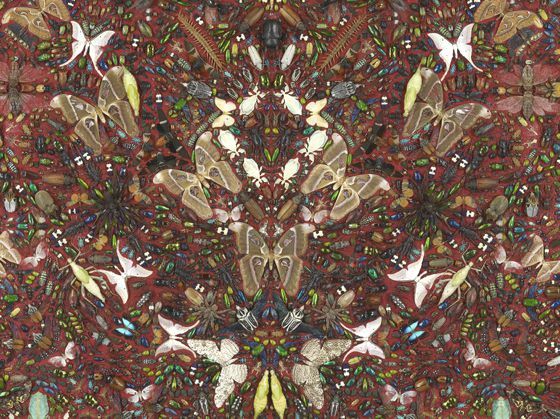 Often his art has explored and highlighted the relationship between humanity and science, which has become the new religion for many people. 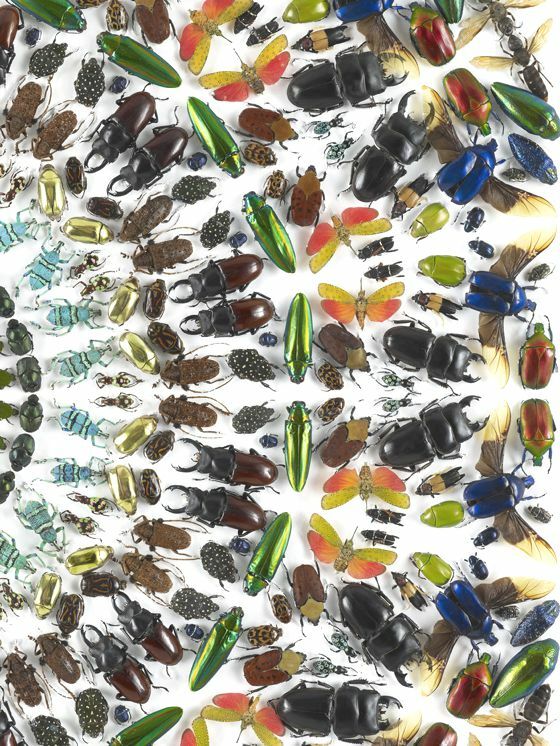 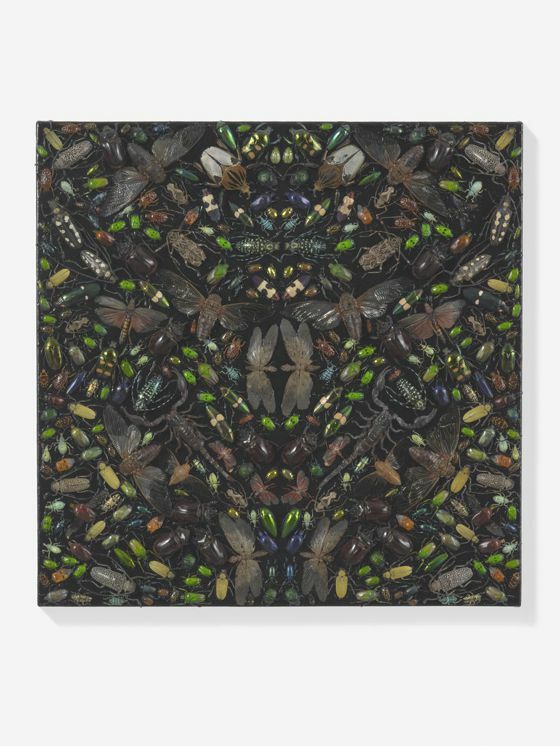 Since 1987, more than 80 solo exhibitions of Damien Hirst took place all over the world and his work has been included in over 250 group exhibitions. 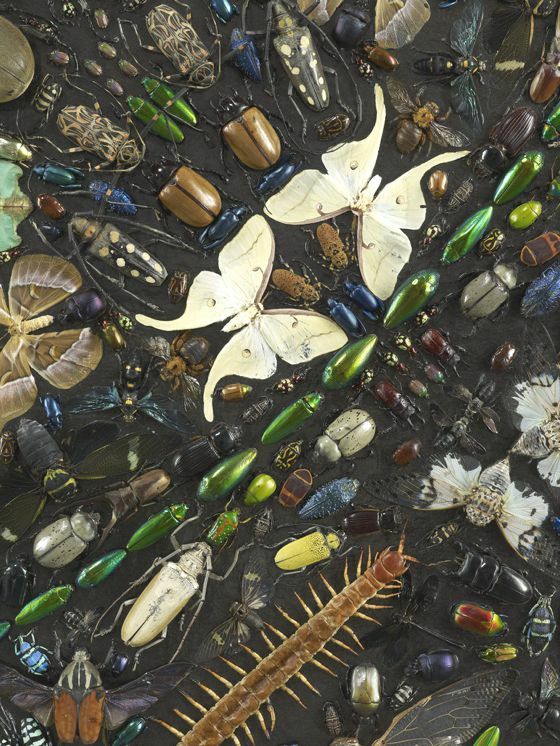 The first major retrospective of Hirst's 'The Agony and the Ecstasy' was held at the National Archaeological Museum of Naples in 2004. 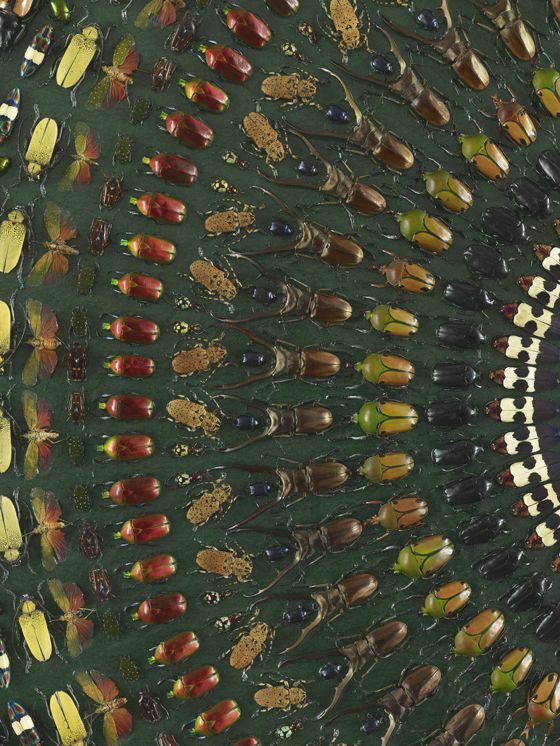 The importance of his contribution to British art of the last two decades has been recognized in 2012 with a major retrospective of his work at Tate Modern. 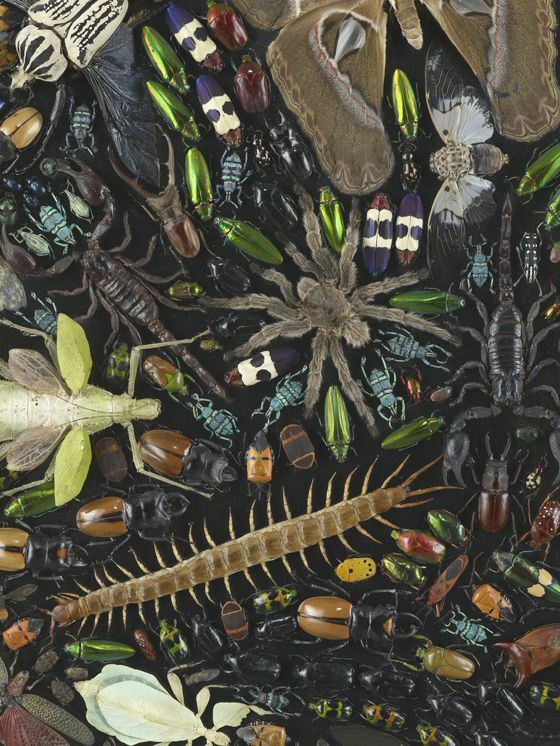 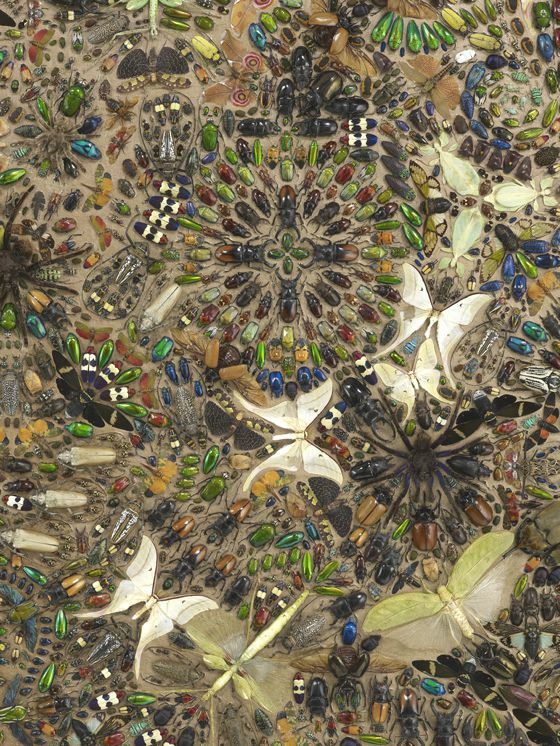 In this post i present the series 'Paintings Entomology' began in 2009. 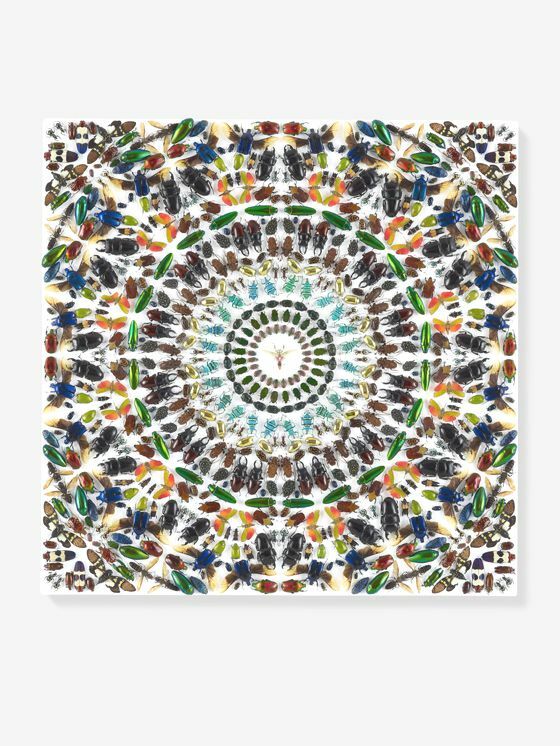 Each piece is made by treating hundreds of insects varieties, butterflies and beetles with glossy paint, then placing them in intricate geometric scheme and sophisticated patterns. 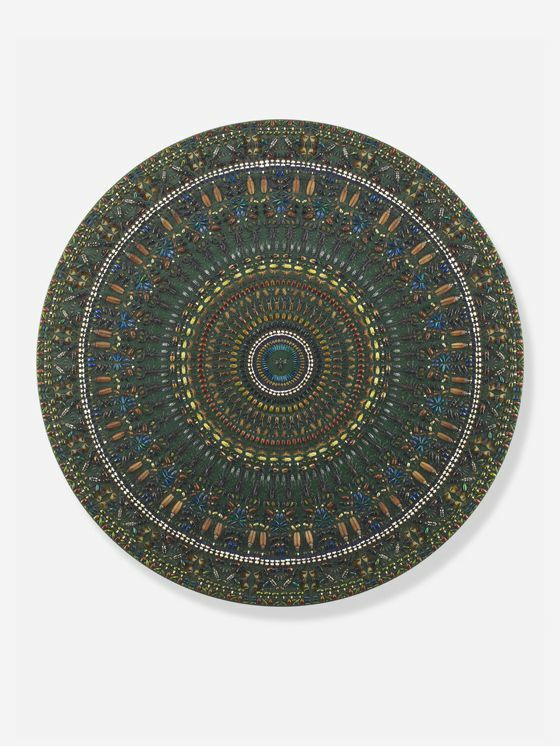 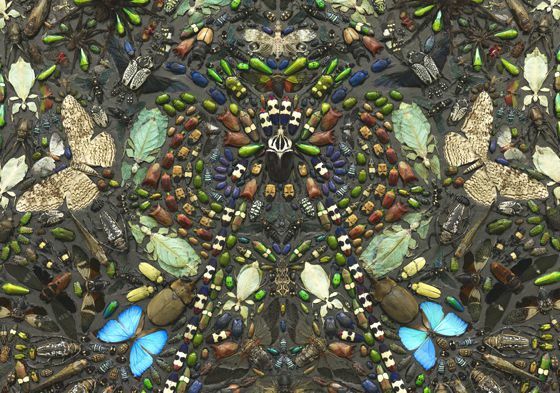 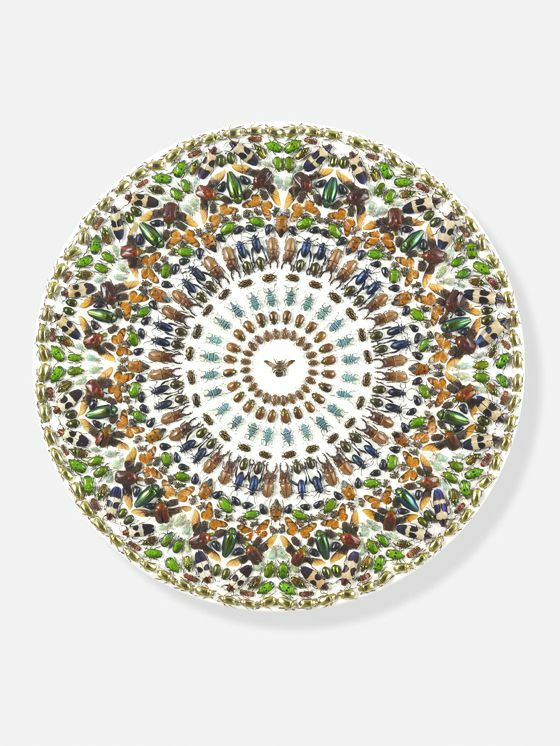 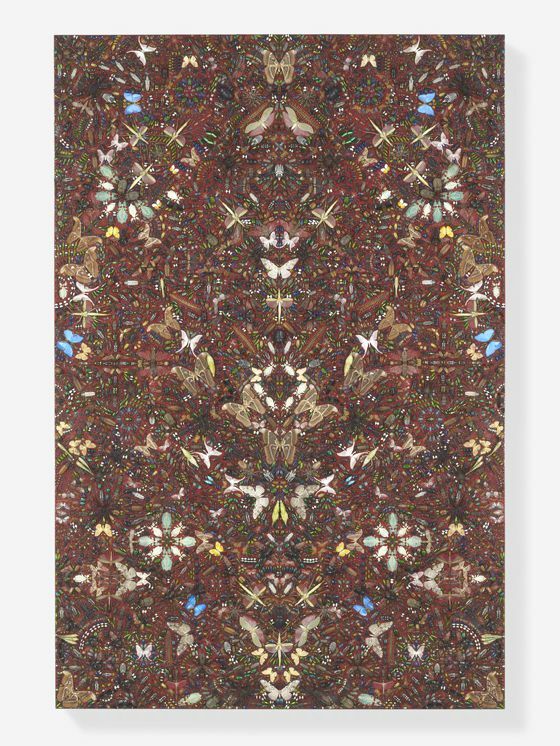 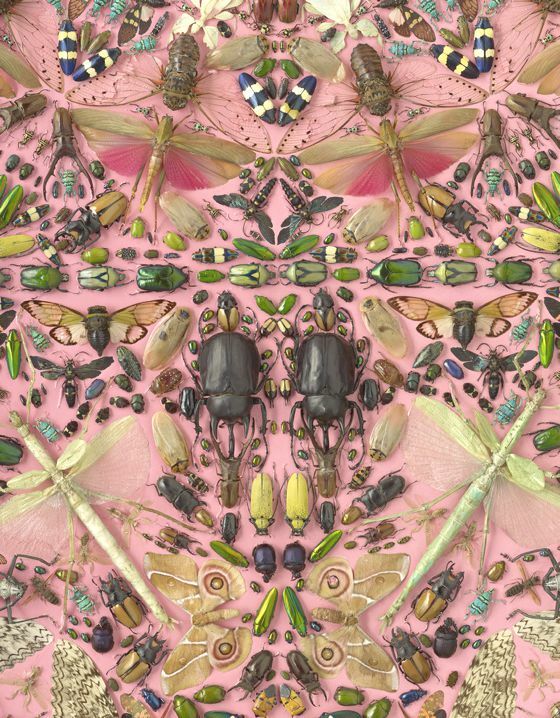 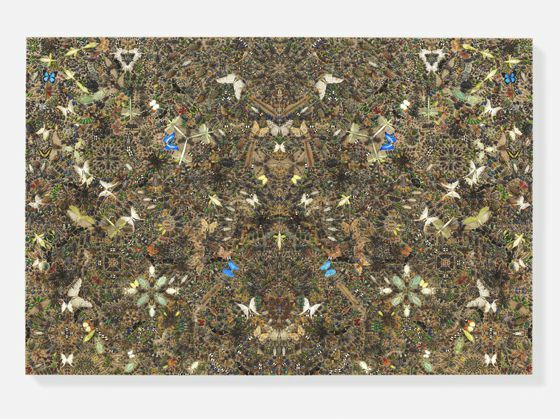 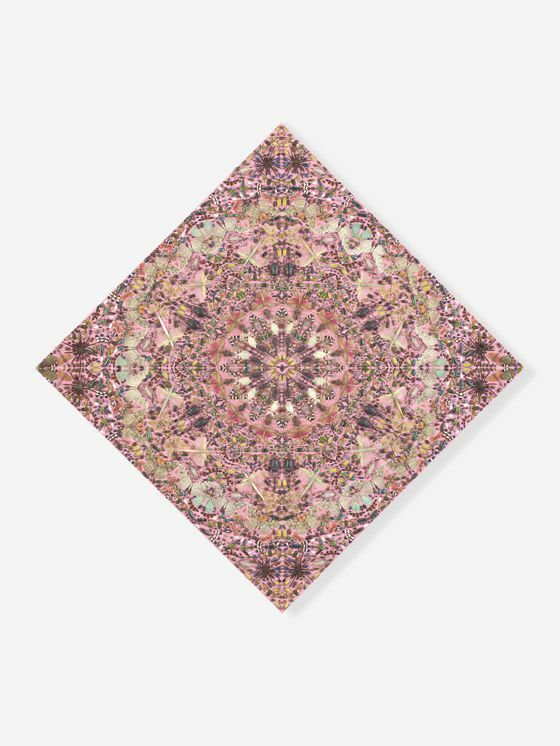 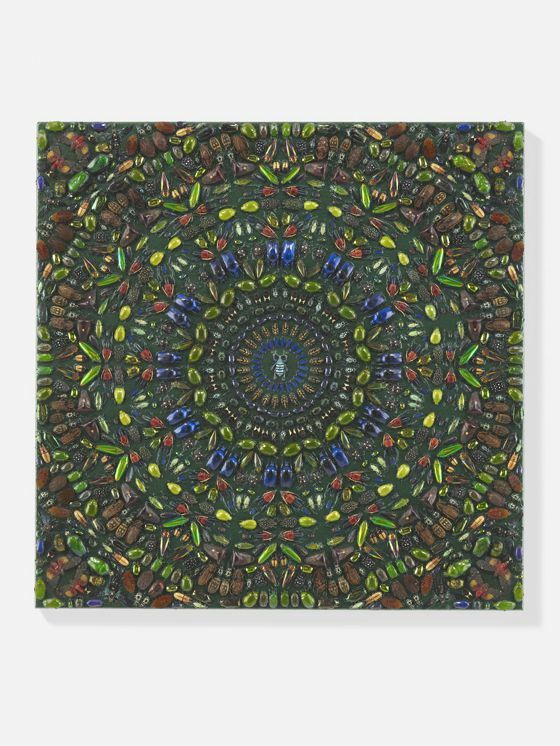 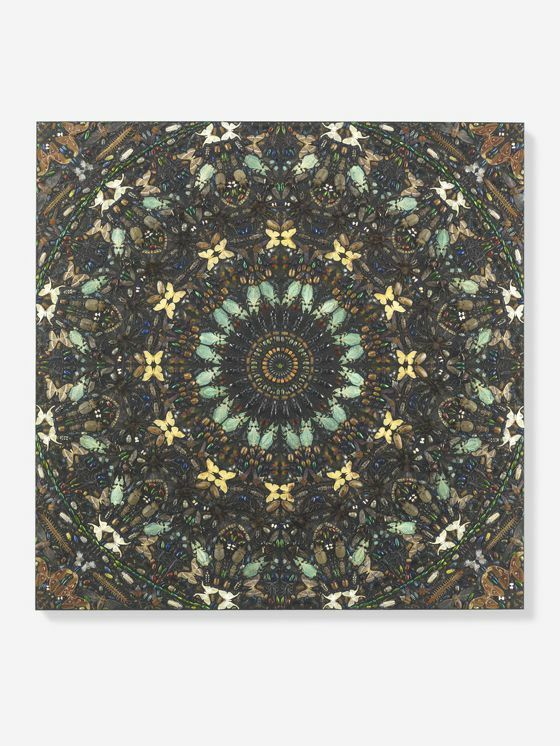 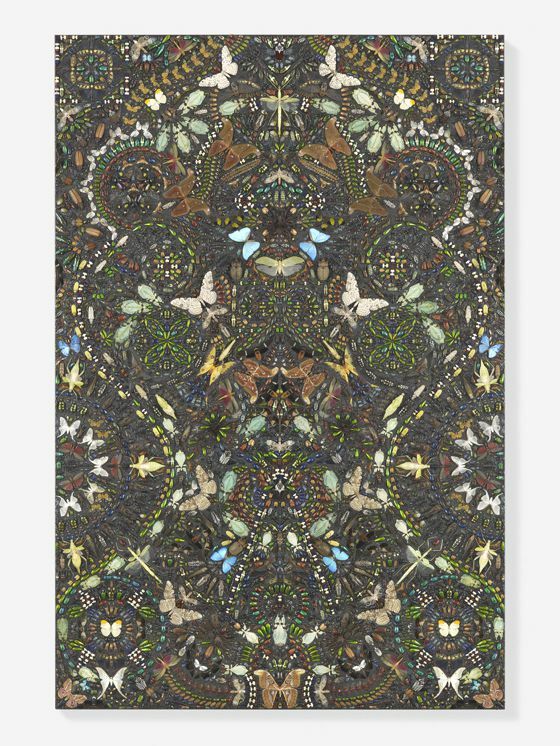 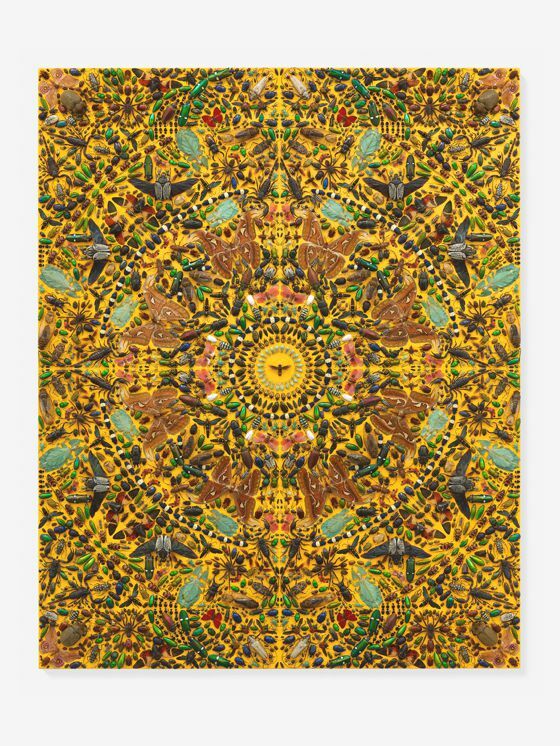 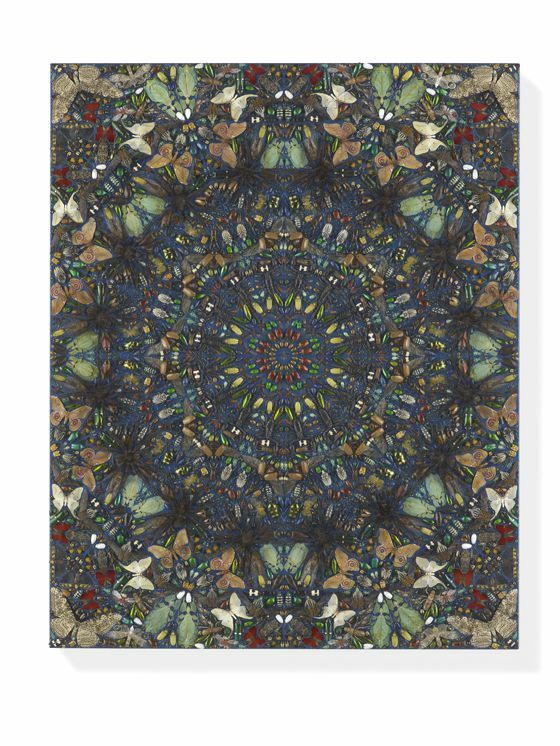 This series recalls another famous Hirst series, 'Kaleidoscope', made with pieces of butterfly wings.